#AceHistoryNews – Sept.15: What’s in a name? 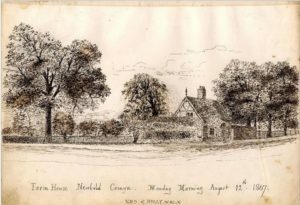 The Newbold part of the above local name is quite simple, – the ‘New’ denoting a parcel of land newly brought into cultivation. Whilst ‘Bold’ is Saxon for a building, the two words together indicate an area of land or village more recently established than the adjacent villages. This could have been waste land, or land carved out of an existing large parish. This process is more common in Warwickshire than elsewhere in England, there being four listed in Domesday, and one, Newbold Regis (aka Kings Newnham) that is not. The ‘Newbold’ normally acquires the landholder’s name, to help distinguish it from the other Newbolds in the locality. Comyn is just such a name. It is not, as often thought, a ‘posh’ version of Common, even though the area in question now looks distinctly like common land. More romantically, Comyn is a variation of the family name of a Norman knight from Cominges in south west France, who came over with William the Conqueror in 1066. There is a theory that when William bestowed land and titles on those who supported his fight to claim the English throne, he carefully divided the estates so as to avoid any large power bases becoming a future threat (This had already happened to him in France). Robert de Comminges was accordingly granted part of Northumberland, where he raised an army of a thousand men to take the city of Durham. Local forces fought back, killing de Cominges and all his men, which led to the bloody revenge attack by William known as ‘The Harrying of the North’ – where whole settlements were laid waste killing an estimated 100,000 and large areas remained deserted for years. This may account for the absence from Domesday of many areas of Northern England, – there was too little left to record. Not an auspicious start, but the Comyn family survived and they soon became a force to be reckoned with in England, Scotland, and later, Ireland. King David I of Scotland seems to have invited the Comyns and other Norman knights into his kingdom to help defeat various enemies, a disastrous error of judgement, as mercenaries often do not want to return home when the job has been done. The Scottish branch of the Comyn family became powerful players in Scottish politics, even contenders for the crown at one point, until Red Comyn, son of Black Comyn was killed by Robert the Bruce, who went on to take the crown. Newbold Comyn, in Domesday is recorded as having 5 Hides of land (1 Hide is generally thought to be sufficient land to support 1 family) Newbold was divided between two landlords: 3 Hides were held by Malmesbury Abbey, the gift of the former owner Wulfwine, to enable him to retire to the Abbey as a monk. The remaining 2 were held by the Count of Meulan, a major landowner in Warwickshire. Elias Comyn acquired the village in about 1160, through marriage to Joan, ward of the Abbot of Malmesbury, and the Comyn connection lasted for three generations, until the death of Elias’ grandson John, in Ireland in 1200. W Colliss: Farmhouse, Newbold Comyn. 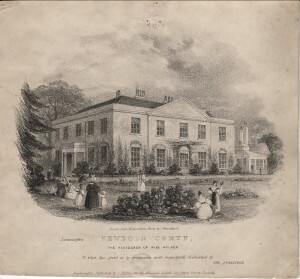 Eventually Newbold Comyn came into the possession of the monks of Stonely (Stoneleigh) Abbey, until the Dissolution of the Monasteries, when the land was granted to James Cruce of Kenilworth. James Cruce sold the holding to William Murcote of Leamington and Richard Willes of Ufton. It seems that these two families intermarried, thereby taking charge of the whole estate, a situation that lasted until recent times. Dugdale claims that “There are here four farm houfes [houses], each distinct Lords within themselves”, but there is now little trace of four farm houses. One remains, and that serves as a public house. 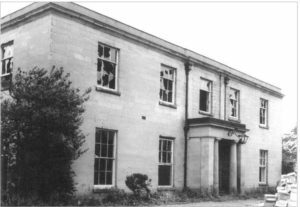 Newbold Comyn became the Willes family estate, and remained in the hands until July 1943, when the farm was purchased by two town councillors, Messrs Davidson and Purnell, for the sum of £28,300. They appear to have been acting on behalf of the council, because they then sold on to the council for the same amount. The creation of a golf course and leisure facilities has created the equivalent of a common. Hence the confusion over the name. Of the original village, nothing remains apart from the solitary farm house. Similarly, there is no evidence as to the reasons for the de-population of Newbold Comyn. The only clue to possible sites of habitation is the presence of water, – two or maybe three streams dribbling towards the Leam. Their current size need not mean that the streams were always small: changes in the water table have led to many flowing streams becoming inconspicuous ditches. 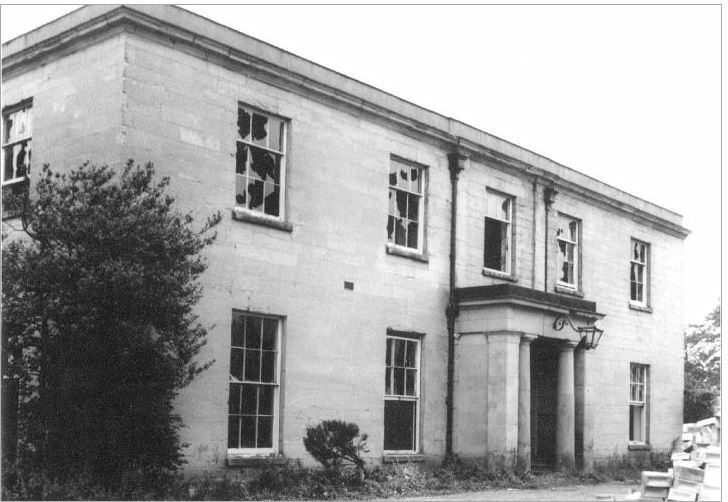 The sale of the estate led to the Willes family leaving Leamington. 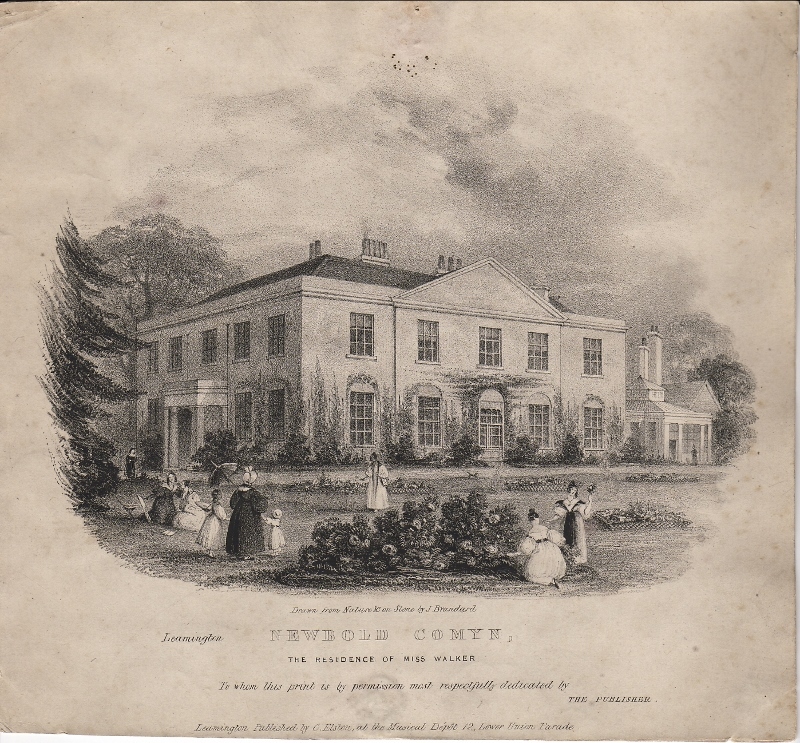 Newbold Comyn house was left to the vandals, as was the nearby Newbold Beeches house, – two fine family homes unable to find a purpose in the modern world. All that is left is the name of a mediaeval knight adorning a golf course and a public open space.